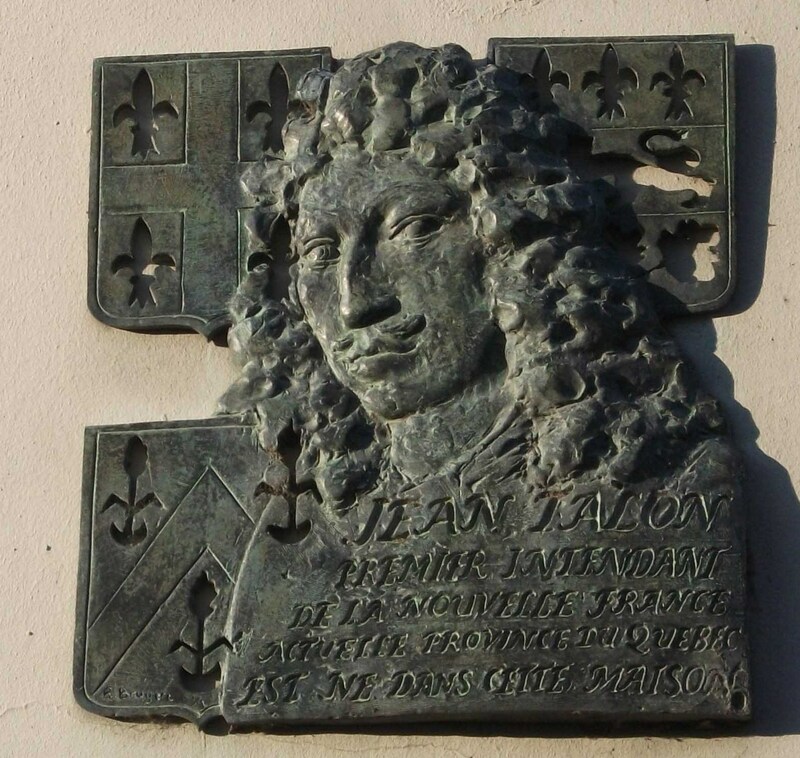 TALON, JEAN (called at one time Talon Du Quesnoy), intendant of New France 1665–68 and 1670–72; b. at Châlons-sur-Marne, in Champagne, where he was baptized 8 Jan. 1626, son of Philippe Talon and Anne de Bury (or Burry, but not Beuvy); d. November 1694 in France. According to certain authors the Talons were said to be of Irish origin. The first ancestor to settle in France, in the middle of the 16th century, was supposed to have been Artus Talon. However that may be, by the end of that century the Talon family was divided into two separate branches: the Parisian branch, made famous by several magistrates who were related to the Gueffiers and the Phélypeaux de Pontchartrain family, and the one in Champagne, to which Jean Talon belonged. Talon studied in Paris, with the Jesuits at the Collège de Clermont. Towards the age of 28 he joined the military administrative services: he was commissary for the wars in Flanders and intendant of Turenne’s army in 1653, commissary of Le Quesnoy in 1654. In 1655 he became intendant of the province of Hainault. During the years that he held this office he often merited Mazarin’s praise for his zeal and competence. Created by Richelieu, the intendants – ill-received at first because they caused the royal power to be too closely felt – had an essential role to play in the administrative machinery of France. According to Pierre Clément, “they were required ‘to deal with acts of oppression that the king’s subjects might suffer at the hands of the officers of the law through corruption, negligence, ignorance or otherwise,’ to report upon examples of incorrect procedure and extortion by magistrates, to judge on the authority of the council and to pronounce judgements without appeal, including the death penalty, to anticipate and repress anything that might threaten order, to keep watch over provisions and supplies and the state of the prisons. Informed by the attorneys-general of all abuses committed in the province, following the armies if necessary, they reviewed the troops in order to make sure that they were well equipped, and judged soldiers without appeal. Roads, canals, mines, lay within their competence, and in addition everything that concerned taxes.” These manifold and somewhat overwhelming duties had in 1655 fallen to the lot of a young man 30 years of age. It was proof that Jean Talon was held in great esteem in high places. In 1665 Louis XIV and Colbert were looking for an intendant for Canada. Louis Robert de Fortel had been appointed to this office on 21 March 1663; but, for reasons that have remained unknown, he never went to New France. The post was a difficult one, and Colbert was demanding. 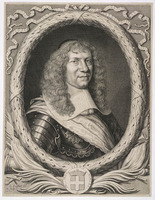 Jean Talon, until then intendant of the province of Hainault, was nominated. On 23 March 1665 he was given his commission, and on 24 May he sailed for New France on board the Saint-Sébastien, along with Governor Rémy de Courcelle. After putting into port at Gaspé, where he collected some minerals, Talon arrived before Quebec on 12 Sept. 1665. At the moment when Talon landed at Quebec, France was finally enjoying peace and order following the treaties of Osnabrück, Münster, and of the Pyrenees, and Louis XIV’s succession to the throne: the same did not hold true for New France. For more than 20 years, weakened and disorganized, the colony had been at grips with a cruel and elusive enemy who threatened its fragile existence a little more each day. 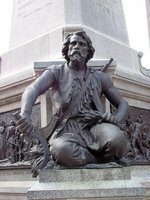 Canada was being drained of its lifeblood in the struggle with the Iroquois, whose “warlike and bloodthirsty mood” increased in proportion to their success. The whole life of the colony was affected by it: the fur trade, the economic foundation of the country, had all but died out, as had the enthusiasm and zeal of the Cent-Associés, to such an extent that the debility of the colony seemed to jeopardize its future. It was for this reason that Louis XIV and Colbert decided to intervene before it was too late. The appointment of an intendant, in particular, fitted into the plan for a necessary reorganization of New France. Indeed, since Champlain the governors had held the widest powers. Although the royal statutes of 1647 and 1648 had set up a council with legislative, executive, and judicial powers, this council nevertheless remained under the control of the governor, whose opinion always prevailed. Being thus in possession of a sort of right of veto, the governor continued in effect to hold the authority which Champlain and his immediate successors had enjoyed. This system was too primitive to last. The increase in the population soon showed up its weaknesses. Towards 1660 the settlers were clamouring for a change. Moreover, tired of the inertia of the Compagnie des Cent-Associés, which could no longer fulfil its obligations, they were asking for its dissolution. 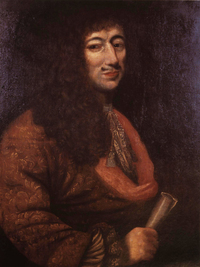 Louis XIV, who had assumed power in 1661, was immediately made aware of the problem of New France, then on the brink of ruin, according to contemporary testimony. The king acquainted himself with numerous reports on the colony; he granted audiences to prominent persons; he even sent a royal investigator to America [see Monts]. Quite obviously a new tack was called for. At the beginning of 1663 Louis XIV accepted the withdrawal of the Compagnie des Cent-Associés. New France became a royal possession again. Louis XIV then proceeded to carry out a vast administrative reorganization of the colony. The governor’s powers were conspicuously reduced, many being transferred to the intendant and the Conseil Souverain. 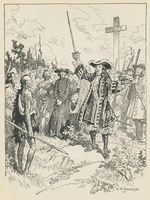 The governor, the first personage in the hierarchy of New France, directed military matters and external policy (Indians and the English colonies in America), in addition to exercising a certain supervision over the clergy, the religious communities, and education. For his part, the intendant was responsible for all the civil administration. The creation of the Conseil Souverain in April 1663 marked the establishment of royal justice in New France. The seigneurial courts were not suppressed as a result, although their jurisdiction was speedily limited to lower justice, middle and high justice being henceforth the prerogative of the royal courts. In fact, from 1666 on the towns of Quebec and Trois-Rivières – Montreal followed suit in 1693 – were both provided with a court of first instance, the prévôté (provost court) or juridiction, which likewise heard appeals from the seigneurial courts within its competence. Decisions of these juridictions could be appealed to the Conseil Souverain, the highest court in the country. This council was composed of the governor, the bishop, the intendant, and five councillors. Although it was above all a court of justice, the council nevertheless fulfilled at the beginning some administrative functions, of which it was to be relieved completely at the end of the century. Scarcely a year had gone by since the retrocession of the colony to the royal domain by the Cent-Associés when in May 1664 Louis XIV created the Compagnie des Indes occidentales, to which he granted all rights of ownership, justice, and seigneury. The king reserved for himself, however, the privilege of delivering their commissions to the governors, as well as to the officers of the Conseil Souverain – and later to the intendants – who in theory were chosen and appointed by the company. Upon his arrival in the colony Talon bore the title of intendant of justice, police, and finances in Canada, Acadia, the island of Newfoundland, and other countries of North American France. His duties were as numerous as they were varied: to attend councils of war, to hear complaints from all persons and to render good and swift justice, to investigate all undertakings against the king’s service, to take action, including the carrying-out of the judgement, against those guilty of all crimes, to appoint the number of judges and legally trained persons required by law, in general to take cognizance of all crimes, abuses, and malpractices, to preside over the Conseil Souverain in the absence of the lieutenant-general and the governor, and to judge alone and without appeal in civil cases. In addition, in the field of finances he was to keep a watch on the control, handling, and distribution of funds intended for the upkeep of the soldiers or for provisions, munitions, repairs, fortifications, loans, taxes, and other expenses; to verify and close the statements and warrants forwarded by the lieutenant-general-in-chief; and to have presented for his examination statements of musters and inspections, rolls, and registers. Generally speaking, he was to do and order, within the limits of his function, whatever he considered necessary for the good and the advantage of the administration. 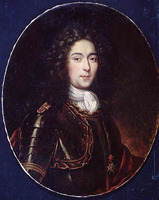 In the same year that Talon arrived, there landed at Quebec the troops promised by the king for subduing the Iroquois, whom Louis XIV was resolved to “exterminate completely.” By the summer of 1665, in anticipation of future action, the lieutenant-general Prouville de Tracy had three forts built on the Richelieu which were intended both to defend the approaches to the colony and to serve as outposts and stepping-stones on the road to the Iroquois country; two others were to be built the following year. The intendant showed great energy in procuring for the 1,300 soldiers the shelter, supplies, clothes, tools, and arms that they needed for passing the winter. In addition most of the material preparations for the projected expedition depended upon him. In particular the army had to be equipped with barks and flat-bottomed boats, which Talon had built in the colony. Instead of a single expedition, there were two: Courcelle’s during the winter of 1665–66, and another led by Tracy himself in the autumn of 1666. The following year the Iroquois surrendered. 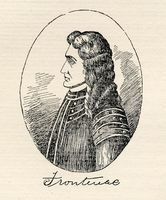 If, at the request of Tracy and Courcelle, the intendant did not accompany the troops into the Iroquois cantons, he none the less had a very large share in the success of the French arms through his constant and meticulous care in placing at the disposition of the army everything that was necessary for the war, despite the poverty of the colony, the lack of roads, and the distances. While collaborating with the military leaders, Talon neglected in no way the more pacific aspects of his mission and applied himself to executing the instructions that the king had given him on 27 March 1665. Perusal of this document recalls immediately the statement by Louis XIV and Colbert in 1664, in the charter of the Compagnie des Indes occidentales, to the effect that colonies and ocean traffic are “the sole and true means of giving trade the lustre that it enjoys in foreign countries.” Indeed, the king incited Talon to take the most appropriate steps for the “expansion” of the colony, so that it would shortly be able to provide for its own needs and supply certain products necessary for the growth of industry in the mother country; to that end it was necessary to settle the country, develop agriculture and trade, and set up industries in it. In particular, his instructions urged Talon to study the administration of justice, in order to apply to it the necessary correctives; also, in collaboration with the Conseil Souverain, he was to see to “the establishing of sound administration.” In September 1665 Talon found the colony virtually devoid of courts of justice, except for a few seigneurial tribunals: the former seneschal’s court had been abolished in 1663, the Conseil Souverain had not sat since 6 July – it had indeed met on 23 September (1665), but for the sole purpose of registering Courcelle’s, Talon’s, and Le Barroys’s commissions – and the Compagnie des Indes occidentales had not yet appointed any judges. At Montreal, it is true, there had been in existence since 1663 a royal seneschal’s court, which had been set up by the Conseil Souverain in place of the seigneurial justice. This seneschal’s court had, however, been established in violation of the rights of the Sulpicians; Talon therefore abolished it on 18 Sept. 1666, restoring by this move seigneurial justice in Montreal. The intendant wanted to cut down the number of law-suits, which were far too frequent in the colony. He believed in the effectiveness of the out-of-court settlements which he had tried out at the beginning of his administration and to which, he wrote, “I resort with pleasure”: “this more gentle way . . . saves valuable time for the parties that live in distant places which they can leave only by canoe.” On 20 Aug. 1667 he obtained from the Conseil Souverain – probably at his request, and despite Courcelle’s opposition – that all lower court cases should first be brought before him, in order that he might “assign them to the jurisdiction which should deal with them” if he did not find any way of arriving at a settlement out of court or that, if the matter required him to take cognizance of it, he might assert his competency to judge it himself. 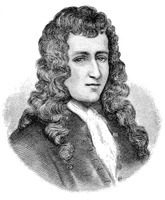 In 1671, as Courcelle had created difficulties for him, Talon consulted the minister, who did not approve of his procedure, which he considered to be “a little contrary to the ways of justice.” Colbert, who had urged Talon to “carry out the duties of a good paterfamilias,” did not look with favour upon a judicial system which, although paternalistic, was too summary. The first point in this “plan” concerned peopling the country. In order to increase the population, various measures, which were sometimes very energetic, were adopted. First, immigration was encouraged. From 1665 to 1672 1,500 settlers landed in Canada, either as indentured employees or simply as immigrants. The indentured employees, who were from 16 to 40 years of age, were recruited and transported to Canada in return for their promise to work for a settler for three years; their passage was assured and they received a modest salary. At the end of their engagement they received a tract of land, some supplies and tools. This system offered a double advantage: it provided the colonists with precious man-power and gave the newcomers time to adapt themselves to the special conditions of farm work in New France. The immigrants who came on their own were granted a piece of land, two acres of which had been cleared and seeded, as well as essential tools and supplies for a year or two; in return they promised to clear two acres and to put them in cultivation for a future arrival. Indentured employees and immigrants thus received, through the intendant, considerable help. Talon desired massive immigration; but Colbert adhered to the principle that Old France should not be depopulated for the benefit of New France. Nevertheless the minister had given him orders to encourage the soldiers of the Carignan-Salières regiment to get used to the colony. The intendant bent his efforts to this with all the more conviction as he counted very much upon colonization by the military for the defence of the country. 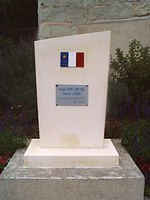 Despite opposition from certain quarters, Talon succeeded in persuading several officers to take up land alongside their men; he obtained gratuities (about 44,000 livres in all) for the most zealous among them, so that it is estimated that 800 soldiers settled down in the colony, drawn from the Carignan-Salières regiment and from companies that had landed in 1670. So unfaltering was the intendant’s will to encourage marriage and child-bearing, that he resorted to measures that sometimes ran counter to normal individual liberty. Not satisfied with urging parents to marry off their children as soon as they were old enough to fend for themselves, he even made the fathers of unmarried boys and girls appear at the registry office to explain themselves. 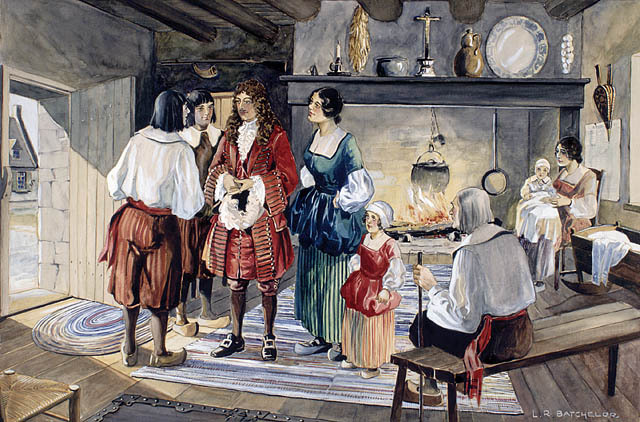 Likewise, on 20 Oct. 1671 he signed an ordinance obliging bachelors to marry the young girls who arrived from France, under penalty of being deprived of the privilege of fishing, hunting, and engaging in the fur trade: one might well say that he deprived the recalcitrants of any chance of making a living in the colony. Along with these measures, the severity of which astonishes us, he had others adopted (His Majesty’s decree of 5 April 1669) which were more humane in character: he wanted honours conferred upon the heads of the largest families, who would be chosen for civil offices; to fathers of 10 children “born in lawful wedlock and who are not priests, religious, or nuns” he gave an annual grant of 300 livres, and 400 to fathers of 12 children; to young men who married when they were 20 years of age or less he gave 20 livres. Talon was not disappointed in his expectations: in 1671, he announced proudly to Colbert, there had been between 600 and 700 births in the colony. At the time of Talon’s second administration, however, a relatively new phenomenon endangered his policy for increasing the population: the men and young men were more and more taking to going into the woods, giving up their homes, living like the Indians and carrying on “the veritable profession of bandits.” On 5 June 1672 Talon issued an ordinance forbidding anyone to take to the woods without a licence from the governor or the intendant. At the time when, on Colbert’s orders, Talon was applying himself to the acculturation of the Indians, to inducing them to live among the whites and to become united with them by marriage, he was witnessing, by an ironic reversal of the situation, the defection of the French. If he had stayed longer in the colony, Talon would have verified the accuracy of the remark made by Marie de l’Incarnation [see Guyart], that a Frenchman becomes an Indian more readily than an Indian becomes a Frenchman. Thus, on these two points, taking to the woods and assimilating the Indians, the intendant met with complete failure. Nevertheless the policy of populating the country carried on by Colbert and Talon did on the whole give the desired results. Convinced, like his master, that men are the basic wealth of a state, the intendant pursued his objective with a veritable passion, with the result that, from 1666 to 1673, if we go by the censuses (which are not always very reliable), the population of Canada appears to have more than doubled, increasing from 3,215 to 7,605 souls. Populating the country could not proceed without settlement. As early as the autumn of 1665 Talon made a point of encouraging in a rational manner the implantation of a large land-owning population. For it was above all else necessary, according to Colbert’s desire, that the colony should become self-sufficient as soon as possible, particularly as far as food was concerned; Talon likewise wanted to make agricultural products one of the bases of Canadian trade with France and especially with the West Indies. His effort was therefore not only a matter of assuring for New France a subsistence economy, but of putting agriculture on a commercial footing. 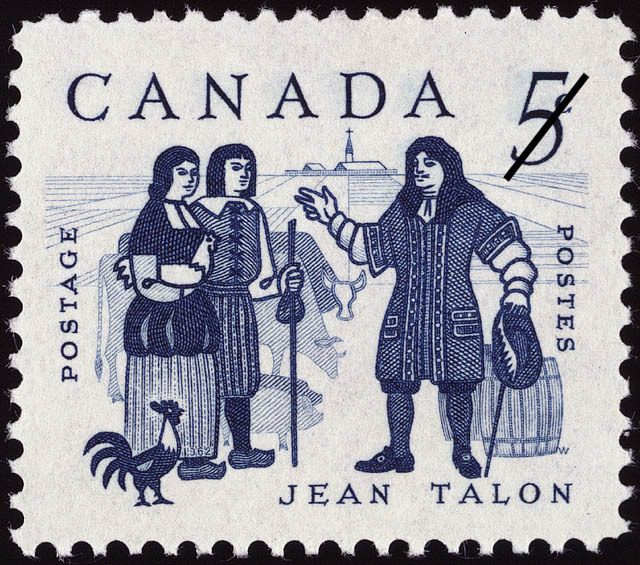 During the winter of 1665–66 Talon selected a large area of ground near Quebec for establishing three farming villages. This ground belonged to the Jesuits, who objected; but the intendant advanced the argument of the common good, which he set against the private advantage of the religious; Colbert gave his approval, and the Jesuits reluctantly gave up part of the seigneury of Notre-Dame-des-Anges, which had been granted them in 1626. In creating the communities of Bourg-Royal, Bourg-la-Reine, and Bourg-Talon, the intendant was pursuing a double objective: to provide an example of dwellings built next to one another, and to prepare at the same time the 30 or 40 pieces of land that Colbert had requested each year for the new families, to whom Talon added the soldiers who would settle in the country. In order to realize the first objective, Talon adopted for his villages a plan that was completely new in Canada: “The pieces of land were triangular,” wrote Chapais, “and the dwellings, which were built at the apex of the triangle, were all grouped about the square or the rectangle where the church or the chapel was to rise.” Without reducing the area of the pieces of land, this arrangement had the advantage of bringing together the inhabitants, who could better help one another, and of bringing them near the priest, the surgeon, and the notary. Until that time indeed, the seigneurial régime had developed a little haphazardly: at the court it was deplored that seigneuries that were still heavily wooded created gaps along the St. Lawrence which were detrimental to the defence of the country (the Iroquois war had proved that), as well as to the centralization of services. Consequently it was necessary to increase the number of judges, notaries, and surgeons, who as a result made a poor living, because, on the one hand, settlement had not been carried on in an orderly manner, and on the other, seigneurs who were negligent or too generously endowed left standing veritable walls of forest along the limits of their domains. Not satisfied with setting an example by putting his rural villages into cultivation, Talon tackled all the problems at once. He endeavoured to fill in the spots that were still empty along the shores of the St. Lawrence by distributing some 60 fiefs. Moreover, in an ordinance dated 22 May 1667 he had enjoined the seigneurs to include in their contracts for land grants the following clauses: an obligation on the copyholder’s part to take up residence within 12 months of receiving the grant, and to clear and cultivate two acres each year on pain of retrocession of the property thus granted; a prohibition against sale of his land by the copyholder before he had built a dwelling on it and had cleared two acres. These measures were well calculated to assure the actual taking possession of the soil and the continuous settlement of the shores of the St. Lawrence. There remained however the seigneuries that were too vast and that their owners were unlikely to clear entirely. Talon turned his attention to them: beginning in 1666 and 1667 he ordered that a register of landed property be prepared, to permit a general survey of the situation. He had moreover conceived with Colbert a plan for reducing the dimensions of these domains, a tenth or a fifteenth of which could be granted each year to a more zealous or more capable seigneur. On 27 Sept. 1672, in anticipation of the application of this measure, the intendant required all those who owned more than 400 acres of land “obtained previous to the last 10 years,” to declare the extent and the quality of the lands they owned, cleared or uncleared, the number of tenants, and other details calculated to enlighten him about the true state of settlement in the St. Lawrence valley. After Talon’s departure (November 1672), this project does not seem to have been followed up. This attempt to ensure rational settlement was the reason for the appointment of two surveyors: Louis-Marin Boucher, dit Boisbuisson (1 May 1672), and Jean Le Rouge* (5 Nov. 1672). In every respect Talon had followed out the precise directions contained in his instructions: endeavour to remedy the scattering of the population by having land cleared “step by step”; make the settlers take up residence; expropriate in favour of new settlers the parts not yet cleared of domains that were too extensive; prepare each year 30 or 40 dwellings for new families “by having the woods cut down and the lands that are cleared seeded at His Majesty’s expense.” We lack exact figures for evaluating Talon’s work in its entirety, but the following will suffice to show that there was progress: from 1667 to 1668 the number of acres under cultivation in the colony rose from 11,448 to 15,649; in 1668 the wheat crop amounted to 130,978 bushels. Wheat! “Up till now,” admitted Pierre Boucher* in 1664, “our one thought has been of wheat . . . as being the most necessary to us.” While encouraging the growing of this essential cereal and of vegetables such as peas and beans, which constituted the basic food of the settlers, Talon, in accordance with the directives that he received from the mother country, endeavoured to introduce into the colony hemp, flax, and hops, which would supply the factories of which he was already dreaming. Having a predilection for energetic measures, he requisitioned in 1666 all the thread stocked in the warehouses of the colony, in order to make the settlers sow hemp. He distributed seed to them, not sparing his encouragements to them and requiring them to give him back the same quantity the following year. In 1669 the production of thread and cloth had begun; Talon bought their hemp crops from two settlers to prove to the colonists that they would find a market for this product. The production of flax and hemp seemed to have a glowing future: “In three years from now,” wrote Talon in 1671, “the settlers will receive from their crops and their own manufacture most and perhaps all the cloth that they need for themselves,” even though, on an average, the value of the annual consumption of cloth amounted to “more than 60,000 livres”; in six years, he forecast, cloth could be exported to France. In addition the manufacture of rope and other small kinds of cordage had been begun. He also encouraged the growing of hops and barley, which he bought for his brewery. Once again he set the example: he had 6,000 poles of hops planted on his land at Les Islets. In short, he gave such an impetus to agriculture, that the colony soon had a surplus: in 1667 and 1668 peas, both green and dried, hops, and barley were exported to the West Indies; in 1672 Frontenac [see Buade] spoke of the products, in particular wheat, of which the colony had too much. Talon was no less energetic in increasing livestock in New France, which up till then had consisted almost entirely of cattle and, to a lesser degree, pigs. Horses and sheep arrived from France almost every year, but in limited quantities (41 horses and 80 sheep from 1665 to 1668). Talon was so successful in encouraging the settlers to increase the number of their animals and took such suitable measures that in a few years astonishing results were obtained: by 1670 horses were sufficiently numerous for trading in them to be carried on; in 1671 no more salt pork was imported from La Rochelle, which ordinarily supplied 800 barrels of it each year; at the same period the colony was producing sufficient leather to shoe the whole population. Wool, however, was scarce: sheep were few, and Colbert was not inclined to send more to the colony; despite Talon’s protestations, the minister remained adamant. In five years Talon did a great deal for Canadian agriculture: he diversified its production and temporarily put it on a commercial footing, as well as interesting the settlers in breeding stock. Nevertheless, after him the growing of crops for industrial use, with which the settlers had not had time to become familiar, almost completely disappeared for lack of encouragement and markets; the colony quickly returned to growing wheat and to subsistence farming. Talon’s stay had been too brief. The abandonment of the cultivation of field-crops for industrial use was a consequence of the disappearance or the slowing-down of the manufacturing industries created by the intendant to absorb the agricultural surpluses. The absence of Talon, who knew how to encourage and stimulate the settlers, and the stopping of royal subsidies brought an end to a work that was still precarious, that had been laboriously set up without sufficient aid from the mother country: “The means to establish manufacturing there lies in the industry of the settlers and their work, rather than in the help that the King can give,” Colbert had written as early as 1666. At the beginning of his administration Talon had introduced looms into the colony. Not only did he urge women and girls to learn to spin, but he also had looms distributed to private homes; to the seminarists he supplied in addition hemp and wool. In 1671 he announced to Colbert that he had had the wool made into drugget, barracan, coarse muslin, and serge; now the colony was ready to make cloth. Moreover, he added, “Nearly a third of the shoes are made from native leathers, and at the present time I have from what is produced in Canada all that I need to clothe myself from head to foot.” He had, in fact, set up at Quebec a hat factory and had made possible in 1668 the establishment of a tannery at Pointe-Lévy. With his son-in-law and partner Étienne Charest, François Byssot worked the hides of cattle, elk, deer, and even of porpoises and seals. Besides bestowing 3,268 livres upon Byssot, Talon ordered from him large quantities of shoes for the troops. The undertaking prospered so well that in 1673 the intendant (who was back in France) estimated the production of shoes at 8,000 pairs a year. This was, moreover, one of the rare industries to survive Talon’s departure; most of them, like hat-making, being entirely supported by the intendant, did not last. Talon’s most important achievement in his search for outlets for the agricultural products was the brewery that he had caused to be built at Quebec between 1668 and 1670. In 1667 he had received from the king two vats which he wanted to use for making beer, and from Colbert he received permission to set up a brewery. At this time New France was spending 100,000 livres each year on the purchase of wines and spirits. In order to keep this money in the colony and to put to use the surplus barley and wheat, the intendant had the Conseil Souverain issue an ordinance encouraging the setting up of breweries by limiting to 1,200 hogsheads the annual importation of alcoholic beverages. Constructed during the period between Talon’s two terms of office, the brewery began production in 1670; on 2 Nov. 1671 Talon informed Colbert that it could supply 2,000 hogsheads of beer for the West Indies and a like amount for local consumption, which would bring about the processing of 12,000 bushels of grain per year. Unfortunately, after the intendant’s departure, the regulations concerning the importation of wines and spirits were eased; in 1675 the brewery closed down. 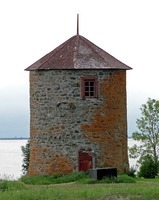 After remaining empty a long time, the building was sold to the king by Talon in 1685 and was fitted up to serve as a residence for the intendants of New France. If he applied himself to developing that basic resource, agriculture, Talon nonetheless did not neglect New France’s other great resource, the forest. Everything concurred, it is true, to favour the setting up of a lumber industry: on one hand Colbert wanted to equip France with a powerful navy and merchant marine; the West Indies, on the other hand, needed wood for making the barrels, casks, and chests necessary for their trade. Towards these two poles Talon oriented the lumbering industry: to the mother country he sent masts and lumber; to the West Indies, lighter woods, and particularly stave wood. This industry was not entirely new in the colony: as early as 1630 Nicolas Denys had undertaken it in Acadia; in the St. Lawrence valley some settlers had at various times shipped wood to France. But it fell to Talon to give it a new impetus and to push it on to a point that had not been attained up till then. During the winter of 1665–66 Talon had the forests inspected, in order to receive information about the quantity and quality of the trees suitable for ship-building. Of all the woods, oak was the most sought after. Unfortunately there was hardly any close to the St. Lawrence; the intendant hit upon the idea of using the tributary rivers for floating the logs. In 1667 he sent off his first shipments: to the West Indies planks, stave wood, and some small masts; to France small masts, spars, and other pieces for building ships; at Quebec itself wood had been in use for a year for the ship-building yard. Anxious not to squander this resource, Talon signed three ordinances in 1670 and 1671 forbidding the settlers to cut down or burn oak and other species of trees suitable for ship-building before the king’s carpenters had examined them. The lumbering industry did not however become as important as the intendant would have liked. In particular, the absence of sawmills – there was only one in existence, it seems, which began operating at Montreal in 1670 – constituted a major obstacle. Talon tried to bring from the English colonies workmen who were specialists in building these mills, but his scheme was not successful. Once again the new-born industry disappeared with the intendant. The trade in masts was to start up again in the colony, but much later. From the Canadian forest Talon wanted to extract other products: tar, potash, and soft soap. At his request, Colbert de Terron sent to Quebec in 1670 a tar-maker. The following year production had reached 8 barrels, 2 of which were shipped to France. Emboldened by his tar-maker’s promises, the intendant hoped for an excellent output; but it was soon realized that for a long time only a very little tar would be obtained, and at very high cost. 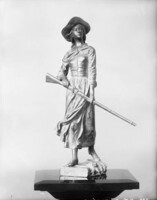 Patoulet, the intendant’s secretary, expressed the opinion that it was better to let the settlers make it and to buy their goods; the scheme was given up. Talon had no more success with the potash and soft soap, despite the fact that in 1670 he had brought from France a specialist – or self-styled one – the Sieur Nicolas Follin, and that the king had granted the latter important commercial privileges. At the time of Talon’s departure Follin had not yet seriously set to work. These failures however are rather to be ascribed to the difficulties which such industries met in New France in the 17th century than to the intendant, who, as was his wont, did not stint his aid or his encouragements to the makers of tar and potash. Talon’s interest in the growing of hemp, in the lumber industry, and in the making of tar was directly linked to the ship-building industry which he was endeavouring to establish in the colony; besides, he was well aware that these materials would be welcomed by Colbert, who, despite his mercantilist convictions, was forced to buy them in Scandinavia. The idea of building ships in Canada was however not new: for a long period, it is true, only barks and pinnaces had been built, principally to cope with emergencies; but in 1664, at Colbert’s command and on the king’s behalf, a galliot, a brigantine, and some ships of lesser tonnage had been laid down. Upon his arrival Talon took this activity in hand and with his special genius tried to establish it on solid foundations; he sought to produce in the colony the cordage, the tar, and even the iron fittings that were required. The intendant succeeded in some of his ventures. He opened a shipyard on the Saint-Charles River, brought from France shipwrights and a foreman. Talon’s aim was to supply ships for the king on the one hand (Colbert had promised to order some from him), and to private individuals on the other, for the fishing industry and for trading with France and the West Indies. As early as the autumn of 1665 he had assembled some settlers to undertake the construction of ships of 20 and 40 tons burden; he hoped that for them the king would approve of his bringing from France the ironwork, canvas, and cordage. He himself had a vessel of 120 tons burden built, which was completed in the spring of 1667. With the collaboration of some private individuals and thanks to a fund of 40,000 livres created in 1671, he was able to lay down a ship of 400 to 500 tons, and soon afterwards another of 800. Numerous difficulties arose however. Skilled labour was scarce: Talon reinforced the few shipwrights with “house carpenters,” who, for the sake of the trade that they were learning, pledged themselves to work for four years “for their board and clothing only”; he even enlisted the help of soldiers and settlers who received training in “handling the axe” and were “formed to the trade.” Moreover the iron fittings, anchors, cordage, tars, compasses, etc., still had to be imported from France. The ships were very costly. In 1672 Frontenac, who had neither Talon’s patience nor his tenacity, wrote to the minister that he did not know “whether, in view of the cost and the scarcity of workers which exists in this country, you would not find it more profitable for us to send you all the wood considered suitable for ship-building . . . rather than play at having them built here.” This was an opinion that Colbert was quite disposed to listen to. Consequently, after the intendant’s departure all effective aid to the ship-building industry ceased, and the settlers were simply encouraged to build boats for their own needs. There was hardly any interest except in the barks and flat-bottomed boats required for the army; only a few individuals occasionally built ships of greater tonnage for their trade. The shipbuilding industry had lost its impetus. In Talon’s mind ship-building was not unrelated to the need for developing the richest and perhaps the most accessible of the colony’s resources: fish. What it had been possible to call “a manna which surpasses all that one can imagine,” had up till then had only a very limited attraction for the settlers, who were, it has been said, too preoccupied with obtaining wheat for themselves; consequently, in 1663 a traveller compared the French in Canada to “paralytics lying beside a great treasure.” They were satisfied with using this manna merely for their sustenance; a few only, who had gathered about François Byssot in 1650, made a commercial activity of fishing. However – and Talon made the observation in 1673 – all of Europe was eating dried cod; France for its part had to import more than 1,500,000 livres worth of fish annually, without mentioning the West Indies and the Levant colonies, which ate Acadian cod supplied by the Boston fishing boats! Although the king had not discussed fisheries with him in his written instructions, Talon concerned himself with them as soon as he reached Quebec. On 4 Oct. 1665 he announced to the minister that he had assembled some men for “fishing work.” The following year he reported on cod-fishing in the St. Lawrence and told how he had sent men to hunt seals. He endeavoured to have the settlers realize the advantages and profits that they could derive from fishing: he commissioned nine of them to fish for cod to supply the troops and the West Indies trade, “in order to impart the desire to anyone who does not have it.” And in fact, in 1667 he shipped to the West Indies salted salmon and eels, salt and dried cod, and seal oil. Talon’s ambition was to induce the settlers to develop fishing with a view to exporting. In 1666 he had an idea that bore fruit: “fixed” fisheries, which would be more profitable still than “roving” ones. The intendant dreamed of seeing the settlers located on their fishing grounds, attending to fishing in season and turning to lumbering or to hunting moose in the winter. This felicitous combination could not fail to attract enterprising spirits. Nevertheless it was not until 1671 and 1672 – perhaps because of Talon’s absence from 1668 to 1670 – that the first fishing centres were set up in the Gaspé peninsula and Acadia, and on the Labrador coast. Shortly before leaving the colony, Talon was working at forming a company which would have brought into association the principal settlers who were interested in the fishing industry. He did not have time to carry out his plan, or else, did he meet some resistance among the colonists? They, according to Frontenac, were afraid “that wishing to be their own masters and directors of their businesses, they would lose their freedom to carry on in their own way.” Did they have the impression, which was perhaps justified, that the intendant would have interfered a little too much in their activities? However that may be, if the company did not come into existence, the movement in favour of fixed fisheries was so well launched that they were not given up after Talon’s departure; although they were few in number, they enjoyed relative prosperity. The intendant conceived of a three-way trade, Canada-West Indies-France, which, as a matter of fact, had been tried as early as 1653 by Jean-Paul Godefroy and his partners, although the results are not known. This triangular trade was started again by Talon in 1667, when he sent wood, fish, peas, and seal oil to the West Indies. The first trial was made by a ship belonging to the Compagnie des Indes occidentales, which returned to France laden with sugar. Each year after that two or three ships, some of which belonged to settlers, sailed to the West Indies with their cargo of products from Canada. In 1673, shortly before leaving Canada, Talon was optimistic: this trade, he wrote, “is made up of the surplus of peas, salmon, salted eels, salt and dried cod, planks and stave wood, and it will grow with the surplus of wheat, which will be converted into flour, and it is estimated that Canada will be able to dispose of 30,000 bushels a year”; “the quantity of peas may amount to 10,000 bushels”; “salt meat, beef and pork, will not be the least important part of this trade, and I consider that . . . Canada will shortly be able to supply salt pork, which already she has stopped importing from France”; “beer too enters into this trade, and I affirm that 2,000 hogsheads a year can be supplied to the Islands, and more, if they consume more”; there were even grounds for hoping soon to ship clothes of Canadian manufacture. These forecasts were not unreasonable. Unfortunately, Talon’s departure was fatal to his work and to the dealings with the West Indies: although they were not given up completely, they were never to justify the hopes that he had placed in them. The fact that navigation on the St. Lawrence was shut down for six months in winter and that ships could make only one trip a year did not help in developing trade. Combined with the enormous distances to be covered, this factor had an effect upon the profit-earning capacity of the exchanges. In 1669 Colbert had asked Talon to set up in Acadia “some storage place” where ships would have been able to unload and take on their merchandise and also make up enough time to complete two trips a year. Talon did not have time to create these warehouses; it can be assumed however that the opening-up of the land route from Lévis to Pentagouet, of which he dreamed, was linked up with this plan. Talon wanted to set his great trade going with Acadia and Boston as well as with the West Indies. A stock-growing country, Acadia could supply salted meats. In 1671 for example the intendant had bought 60 quintals of beef there. In return Canada would send cereals and flour. In this way, and thanks to the line of communications which he hoped to open up between the two colonies, the intendant would have joined closely two regions of New France that had up till then been juxtaposed. 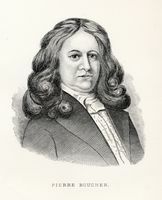 Acadia had long been obtaining its supplies on the Boston market; while trying to direct Acadia’s trade towards Quebec, the intendant did not nevertheless want to cut off economic relations with the English in America. With the king’s approval he made advances to the authorities in Boston in order to set up a system of exchange. His departure, however, put a definite end to this bold plan. If the fruit of his efforts was almost entirely lost after Talon had returned to France, this can be ascribed in good measure to the lack of interest on the part of the court and the colonial administrators. Talon’s projects were workable; the only thing that was to be lacking was effective support from his successors and financial aid from the mother country. There was satisfaction too in France. Colbert did not try to conceal it: he received Talon and accompanied him into the presence of the king, who talked for an hour with the former intendant. Delighted with the colony’s progress, Louis XIV and the minister were afraid that Talon’s absence might harm Canada: they persuaded him to return there in the spring of 1669. 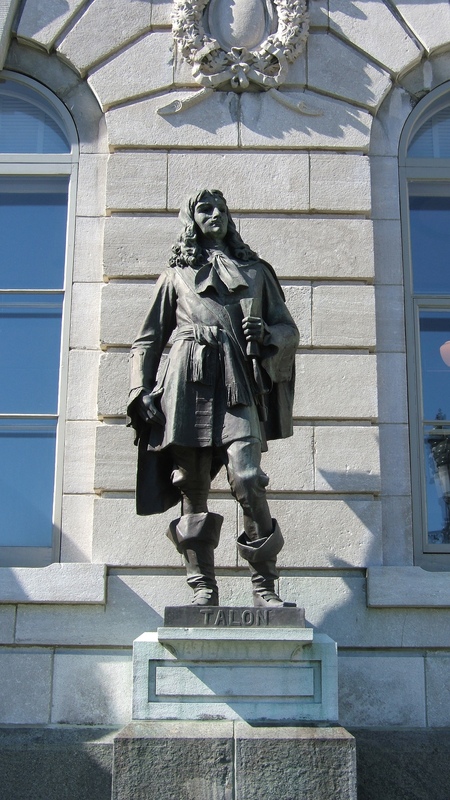 Talon took advantage of his stay in Paris to have certain measures adopted: freedom of trade for Canada, the decree of 5 April 1669 giving assistance to marriages, another on 16 April for the control of import duties on Canadian cod and coal, and the return to New France of the Recollets. In addition, at his request Colbert allocated 200,000 livres to the colony, providing for the passage of 150 filles du roi, 6 companies of 50 soldiers each, and of more than 30 officers and gentlemen; he gave orders for the sending of 12 mares, 2 stallions, and 50 ewes; finally, he allowed him some shipwrights. 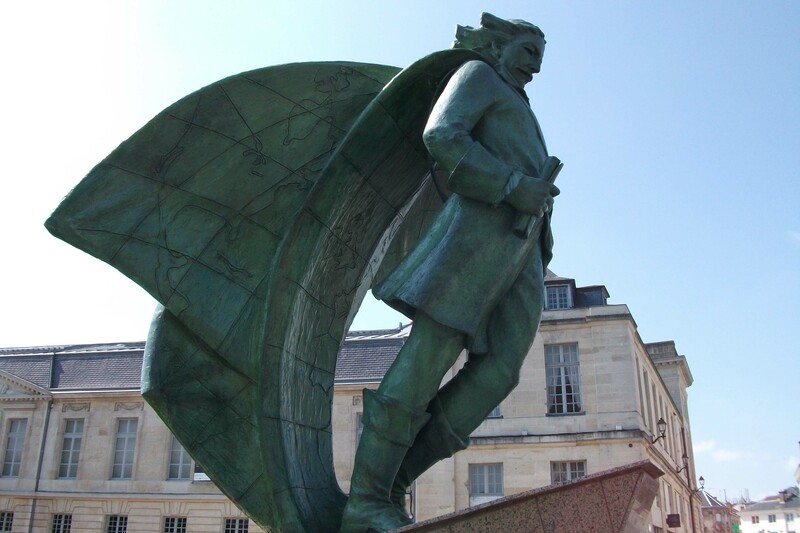 Talon’s new commission was signed on 10 May 1669; on the 17th he received his instructions and on 15 July he sailed from La Rochelle after settling his family affairs. Caught in a gale, the ship spent three months struggling against the elements; it finally put into Lisbon, to be shipwrecked shortly afterwards three leagues out of this port. Talon escaped safe and sound, but his arrival in New France was delayed by a year. It was not until 18 Aug. 1670, after being at sea for three months and going aground off Tadoussac, that he landed at Quebec. Immediately Talon took up his task again, pursuing aims that he had set himself during his first term as intendant. This time, however, he concerned himself greatly with the external affairs of the colony, even infringing on occasion upon the governor’s province. His new concerns, which caused him to send “resolute persons” to the four corners of the country – discoverers and ambassadors – are the outstanding feature of his second term of administration: he tried, in Lionel Groulx’s words, “to relate New France to its natural ties, geographic as well as economic, in short, to its American milieu.” Hardly had he arrived than he was writing to Colbert on 10 Nov. 1670: “This country is laid out in such a way that by means of the St. Lawrence one can go everywhere inland, thanks to the lakes which lead to its source in the West and to the rivers that flow into it along its shores, opening the way to the North and the South.” Talon was hearing the fascinating appeal of the unknown regions; along the inviting network of the river routes he was about to send forth his explorers. He was not however yielding to simple curiosity. His aim was to give the colony its natural frontiers, to organize its trade, to reinforce its alliances, so that what had been created on the shores of the St. Lawrence could attain its full development. In particular Talon felt the full weight of the presence of the English on the continent. He had in fact been disturbed about it from the time of his first administration. 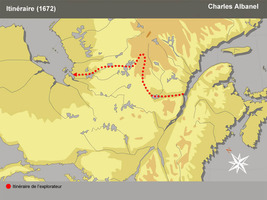 On 13 Nov. 1666, for example, he had suggested to Louis XIV and Colbert the conquest or the acquisition of New Holland in order, he said, to provide a second way of access to Canada and to prevent pelts from being diverted to Manhattan and Orange; moreover, he added, this would be the means of putting the Iroquois at the mercy of the French and of shutting the English up inside the boundaries of their territories. This idea, which was to be taken up again at the end of the century, was not accepted by the court. 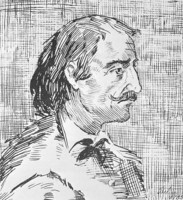 Nevertheless Talon gave proof of keen political vision, as he also did when he confided to Tracy and Courcelle his fear that in the event of war the English would attack Canada simultaneously from the upper and lower reaches of the St. Lawrence. This was foreseeing, 24 years ahead, almost exactly the tactics of the English when, in 1690, they sought to hem in the colony. During his second mandate Talon was even more obsessed by these preoccupations. Thus, in the autumn of 1670 he told the minister about the “acts of piracy” by the Iroquois, who were seizing French furs to sell them to the English and the Dutch. To put an end to this practice, which each year was costing Canada’s trade “1,200,000 livres of beaver pelts,” he suggested two posts, one to the north and the other to the south of Lake Ontario, to protect the movement of the Ottawa Indians coming to trade, and the building of a galley to ensure freedom of navigation on the lake. In order to carry out this project he asked for a company of 100 soldiers and 15,000 livres. In reply Colbert told him to transmit this idea to M. de Courcelle, on whom the responsibility rested, so that he might carry it out if it were worthwhile. Still with a view to increasing the profits of the fur trade, Talon made another suggestion, a very daring one: that an attempt be made to harness the Ottawa Rapids, “which interfere to such an extent with the Indians’ travelling by water, that sometimes they are discouraged from coming down to us to bring us their pelts.” The Indians, who would profit from this, would pay in return “some slight tax” on the furs that they would be transporting. At the moment that Talon was writing these lines, in the autumn of 1670, a year had already gone by since Cavelier de La Salle had set out, supplied with letters patent from M. de Courcelle and accompanied by the Sulpicians Dollier* de Casson and Bréhant de Galinée, to look for the Ohio River and the Gulf of California. However, by 1 Oct. 1669 the impetuous La Salle had left the two religious, on the pretext of returning to Montreal. Whatever he did after this date, it is certain that he did not go as far as the Ohio; at least he never claimed that he did, and no document substantiates it. The Sulpicians for their part had reached the north shore of Lake Erie, of which they had taken possession before returning to Montreal on 18 June 1670. Shortly after his return to the colony Talon certainly met La Salle, whom he sent in the autumn of 1670 “towards the south,” in search of the “passage” to the China Sea. Once again nothing is known of the comings and goings of the temperamental explorer, except that he was at Montreal on 6 Aug. 1671. In the autumn however Talon maintained that he had no news of him; he left the colony in 1672, before La Salle had given any news of himself. Clearly the explorer had not carried out his mission. To the regions that had been visited by Dollier and Galinée, Talon sent Simon-François Daumont de Saint-Lusson, to whom he gave the task of taking possession, in the name of the king of France, of the whole central region of America. 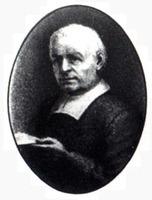 In addition Saint-Lusson was to go as far as possible, as long as he had “what he needed to live on,” in order to ascertain “with care whether there is, by means of lakes and rivers, any way of reaching the Southern Sea, which separates this continent from China.” Having left in October 1670 with Nicolas Perrot*, Saint-Lusson spent the winter on Manitoulin Island, whence he forwarded to several nations an invitation to assemble in the spring at Sault Ste. Marie. There, on 4 June 1671, in the presence of the delegates of 14 Indian nations and “with all the pomp and circumstance that the country would allow,” Saint-Lusson took possession “of the aforesaid place of Sainte-Marie du Sault, as also of Lakes Huron and Superior, the Île de Caienton, and of all the other countries, rivers, lakes, and nearby or contiguous streams, already or still to be discovered, which are confined on the one side by the Northern and Western Seas and on the other by the Southern Sea, as well as in all their length or breadth.” At one fell swoop part of an empire came under France’s jurisdiction. Saint-Lusson, it seems, scarcely pushed on past Sault Ste. Marie, bringing back at the most some second-hand information about the “link” with the Southern Sea. He probably told the intendant about the Mississippi, which was much talked about in the Great Lakes region and which, it was believed, flowed into the Gulf of California. In the summer of 1672, perhaps losing hope of seeing La Salle come back, Talon entrusted Louis Jolliet with going to the mouth of this river in order to verify that it did indeed flow into the China Sea. In 1674 Jolliet was to return with the certainty that the Mississippi flowed into the Gulf of Mexico; hope was however to be preserved of finding, through one of its tributaries, the Western Passage that was so much desired. In any event, thanks to Talon’s vision three quarters of the American continent, to the west and the south, came under French sovereignty in a period of a few years. Talon’s attention was also directed towards the north, still little known, whence came, through the hands of the Ottawa Indians, the finest furs. In the summer of 1671 he chose the Jesuit Charles Albanel and Paul Denys* de Saint-Simon to make an expedition in this direction: the explorers were to go to Hudson Bay, make reports on everything that they discovered, establish trade in pelts with the Indians, and take possession of the territories; in addition they were to investigate whether it was advisable to establish on Hudson Bay a warehouse which could “replenish supplies for the ships which will subsequently be able to discover by this route the connecting passage between the Northern and Southern Seas.” Albanel and his companion were the first Frenchmen – Radisson* and Chouart Des Groseilliers excepted – to reach James Bay, which they took possession of, although the English were already there. Talon was seeking on every side the passage to the Western Sea. He was very much interested in the suggestion made to him at this time by a certain Capt. Poulet, who proposed searching for this passage and accomplishing the circumnavigation of America, either by the Northern Sea or the Straits of Magellan. With the intendant’s departure, however, this project came to naught. In his endeavour to link all parts of the colony with the vital centre in the St. Lawrence valley, Talon did not overlook the eastern territories, and chiefly Acadia. Probably attracted by the idea of setting up there a seaport that would be open in all seasons, and aware of the necessity of defending this province that was adjacent to the rival American colonies, Talon conceived the plan of a land route which would link Acadia to Quebec; he thought of it as having at regular intervals dwellings which would serve as relay stations. To reconnoitre the ground, he formed two teams which had the task of studying the regions of the Kennebec and Saint John rivers. He fixed his choice upon the latter region. In 1672 Talon gave a start to the execution of his project by granting fiefs on the route foreseen from Lévis to Pentagouet. 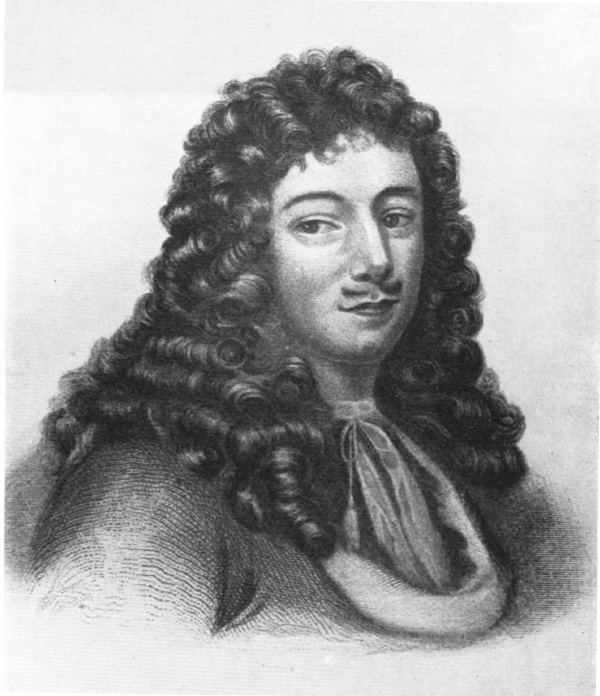 From 1670 to 1672, then, Talon pursued major aims which explain his whole work: to link the different parts of New France firmly to the nerve centre of the colony on the St. Lawrence; to build up a network of alliances which would funnel towards Quebec the furs from the north, west, and south; to guarantee the integrity and defence of French territory by taking possession of it, by making economic and military treaties, and by developing the frontier regions; finally, to find the China Sea and, perhaps, a second outlet for New France. To these aims must be added that of discovering mines, with which Talon had been concerned even before leaving for New France; following information he had received at La Rochelle, he had put into port at Gaspé in 1665 to pick up some lead ore there. During his first administration, he collected information about coal, iron, lead, and copper mines; he sent ore regularly to France to be analysed. But despite his efforts he met with only very relative success. In addition to the coal mine which the intendant had discovered in 1666 in the cliff at Quebec but which was impossible to work, there was another on Cape Breton Island which was rich in coal of excellent quality. In 1670 Talon sent Capt. Poulet to inspect this mine, from which it was thought the ore could easily be extracted, so that a 150-ton ship could take on a full load in a week. The assays confirmed the excellent quality of the product, which was nevertheless considered to be a little too small for use in large furnaces. Despite the existence of this mine and the diminution of import duties on Canadian coal, there was only a very limited trade in it under the French régime. As for iron, traces of it were detected in many places; but the veins were insignificant or the assays by the specialists inconclusive. However, Talon did not give up hope of setting up in the colony forges that would supply the iron necessary for ship-building. In 1670 he had brought from France an ironmaster, the Sieur de La Potardière, who affirmed that the deposits in the region of Trois-Rivières were very promising. Talon immediately sent him back to France with 20 barrels of ore and sand from Trois-Rivières. While waiting for the result of the analyses and La Potardière’s return, he had ore extracted in anticipation of future working. Unfortunately the ironmaster did not come back and Talon had to return to France. The mine at Trois-Rivières was not worked until the 18th century. Talon had even less success with lead. Immediately upon arriving at Quebec in 1665 he had given the metal-founder of the Compagnie des Indes occidentales the task of examining the mine at Gaspé. It was judged to be of poor quality. The following year the intendant sent a new team to Gaspé. An explosion killed two workmen; the expedition returned to Quebec and the project was abandoned. It was in August 1667, when the Jesuit Allouez brought him a piece of very pure copper ore from Lake Superior, that Talon began to become interested in this mineral. In the autumn of 1668 he chose Adrien Jolliet and Jean Peré “to go to find out whether the copper mine . . . is rich and the ore easily extracted and brought down here” the explorers were in addition supposed to look for an “easier route than the usual one” to transport the copper from Lake Superior to Montreal. Jolliet (who died during the voyage) and Peré could not find the mine; however, they discovered a new route, via Lake Huron, Lake St. Clair and Lake Erie, which allowed traffic to avoid the rapids on the Ottawa River. In 1670, still eager to find the exact site of the mine, the intendant entrusted Saint-Lusson with the search for it; this was, in Talon’s words, “the principal object of his mission.” Saint-Lusson, we know, went to Sault Ste. Marie, of which he took possession; it is more than probable however that he did not see Lake Superior, neglecting the primary aim of his trip. At all events, he did not bring back any more news than had Peré about the famous copper mine, of which no one ever succeeded in discovering the lode. 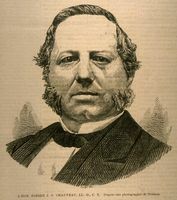 Frontenac had new searches carried out at the beginning of his governorship, but without any success. He considered besides that the distances to be covered made this mine impracticable. Frontenac was probably right. The absence of suitable means of prospecting for and working mines, the lack of skilled manpower, the enormous distances, the difficulty of transport, all these were obstacles that made any mining development in New France in the 17th century almost impossible, despite the goodwill of administrators like Talon. Talon’s boundless activity during his two stays in Canada did not fail to antagonize some people. 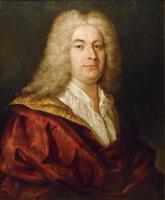 On a few occasions he complained, in his correspondence to the minister, of the opposition that he was encountering in carrying out his plans; he was not, he said, “to everyone’s liking.” In particular he clashed with M. de Courcelle, the merchants, the Compagnie des Indes occidentales, and the Church. From the time of his first administration, and especially after M. de Tracy’s departure, Talon had had to put up with certain vexations from Courcelle, who seems to have been somewhat jealous of the intendant’s very extensive powers and offended by the influence that he wielded in the colony, where nothing was done without his approval. Courcelle was the first to experience the dramatic plight of the governors, to whom, under the French régime, the greatest honours were rendered but whose real authority was very much less than that of the intendants and whose prerogatives were limited to the areas of war and diplomacy. When he asked to be relieved of his office, moreover, Talon stressed, among other things, that the governor’s attitude did not permit him to stay any longer in Canada. The disagreement was even more serious during Talon’s second term of office, especially since he took it into his head to enter into the sector of external relations, thus encroaching upon the prerogatives of the governor. Courcelle may have been less imaginative and above all less active than he, but he rightfully became very resentful of this conduct: when he was afraid of meeting some opposition from the governor, Talon acted without consulting him, in fields in which the governor had a say. In short, it was whispered about in the colony that “M. Talon wanted to combine the role of the governor with that of the intendant.” Courcelle, who could not be unaware of this, was certainly hurt by it. 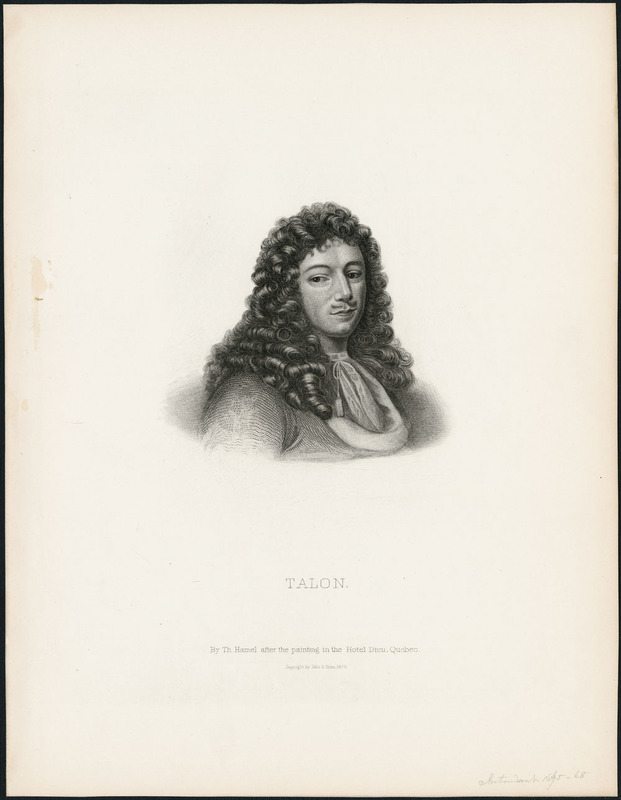 The rumour was not without foundation: in January 1672 Patoulet wrote to the minister that Talon wanted to be recalled, unless he remained alone in the country. Talon and Courcelle each had, it seems, his share of the responsibility for this dissension, which became deeper each day. In his struggle with the Compagnie des Indes occidentales, which had been set up by Colbert himself, Talon did not obtain the minister’s support so easily. From the time of his first contact with New France he had perceived that His Majesty’s interests in the development of the country and those of the company were “very often opposed,” and that the company was in many respects an obstacle to the progress of the colony. By the very fact of its existence it interfered with the machinery of the governmental institutions that had recently been created. The king continued in fact to appoint the governors and the intendants, with whom he remained in constant touch and through whom he directed the whole colonial policy. For their part the governors and intendants strove to put into effect the king’s policy and to enforce royal authority everywhere. The intendants were already endeavouring to bring about a considerable centralization of the administration of justice. Consequently the royal policy often ran counter to the rights and privileges of the company, which considered that it was being wronged. On the other hand, the exclusive right of trade and shipping which the company held by virtue of Article 15 of its charter acted as a check upon the development of New France: this clause discouraged any spirit of initiative among the colonists and made them extremely dependent upon the company. Talon’s idea was that only freedom of trade and shipping could ensure the colony’s progress, which could only result from the joint effort of the authorities and the settlers. 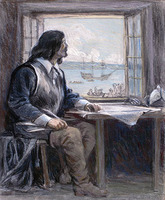 While still at La Rochelle in 1665 Talon had had to intervene with the company’s agents, who were refusing the inhabitants of Canada the right to import certain articles of merchandise; when he had arrived in Quebec, he had realized that the trade monopoly worked to the detriment of the population. Therefore on 4 Oct. 1665 he had presented the following alternative to Colbert: if, in setting up the company, the king wanted to enrich it, “without having as his aim the extension of the habitations in this country and the increasing of its settlers,” it was necessary to safeguard all the company’s rights and privileges; if, on the contrary, the king desired the colony’s progress, “I cannot convince myself that he will succeed in his intention by leaving in hands other than his own the seigniory, the ownership of the land, the appointment of priests, and, I add, even trade, which is the soul of the foundation that he has in mind.” This was declaring strongly – and courageously – against the very existence of the company. Although far from agreeing with him, Colbert nevertheless told Talon in his reply of 5 Jan. 1666 that His Majesty, as an experiment, had “had the Company condescend to give up [in the settlers’ favour] trade with the Indians,” and that in addition the company had consented “for this year” to grant freedom of trade “to all persons without distinction.” In 1668 the Conseil Souverain wrote to the minister to request of him again this free trade which the company had allowed only for 1666. According to the councillors the stores were so poorly supplied with goods that the settlers were in danger of lacking essentials; furthermore, the prices demanded by the company were excessive. This letter and Talon’s efforts led the king to decide to grant freedom of trade to Canada in 1669 once and for all. At the same time that he was fighting for freedom of trade, Talon fought to obtain for the colony an adequate budget. But, by virtue of its charter it was the Compagnie des Indes occidentales that was supposed to assume the ordinary expenses of the country, as the Compagnie des Cent-Associés and the Communauté des Habitants had done previously. In order to discharge its obligations, the Communauté des Habitants had decided to impose a levy on beaver pelts amounting to a quarter of their value and a tenth on moose hides; to this initial fund was added a little later the revenue from the Tadoussac trading organization. The sums that were collected thus, called the “revenue of the colony,” were allocated to the “ordinary expenses.” The Compagnie des Indes occidentales claimed that these revenues had been ceded to it for 40 years, along with the seigneury of New France. Talon, who meant to be as independent of the company as possible, contested its ownership of these rights; he wanted at the least to make it record its receipts, so that its earnings could be known. On 5 March 1666 however Colbert answered him, saying that the company actually did hold the rights that he was contesting, and he sent him a copy of a decree dated 8 April 1666 which ruled upon this question. There was still to be determined the amount of the country’s ordinary expenses. On 18 Aug. 1666 Le Barroys offered to pay “all pay and expenses of the officers” according to a scale adopted by the agents of the company. Talon protested: according to the decree of 8 April the expenses were to be met “on the same basis as they were by the former company and by the . . . Communauté.” A memoir by Gaudais-Dupont indicated that the Communauté des Habitants paid the sum of 48,950 livres; Le Barroys however was offering only 29,200 livres. Talon brought the matter to the attention of the minister, who fixed the company’s contribution at 36,000 livres, which was considerably less than the revenues of the Tadoussac trading organization alone. Talon was convinced from that time on that the company cared very little for the colony, but was seeking above all to increase its profits. The intendant had judged correctly: the system of company ownership did not suit New France; by 1674, ruined and stripped of its prestige, the Compagnie des Indes occidentales ended its career prematurely. If Talon undertook his struggles with the merchants and the Compagnie des Indes occidentales on his own initiative, it was at Colbert’s request that he began to keep an eye on the activities of the ecclesiastics in New France, in conformity with the following article in his instructions: “. . . the aforementioned Sieur Talon will take note that those who have given the most faithful and the most disinterested accounts of the said country have always declared that the Jesuits (whose piety and zeal have greatly contributed to attracting to that country the people who are now there) have acquired an authority that goes beyond the limits of their true profession, which must be concerned only with consciences. In order to maintain their position there, they were very happy to nominate the bishop of Petraea [Laval*] to carry out the episcopal functions there, as he is entirely under their sway, and right up to the present either they have nominated governors to represent the king in that country or they have used all possible means to obtain the recall of those who had been chosen for this task without their participation, so that, as it is absolutely necessary to maintain a just balance between the temporal authority which resides in the person of the King and of those who represent him, and the spiritual authority which resides in the person of the said bishop and the Jesuits, but in such a way that the latter be subordinated to the former,” Talon was to take care to watch closely “the state of these two authorities in the country at present and the state in which they should normally be kept.” Such a paragraph – even though it was full of erroneous details, particularly concerning the appointment and recall of the governors – could not help but incite Talon to examine closely the conduct of the ecclesiastics; in addition it supplied him with a precise guide with respect to what should be the position of the spiritual authority in relation to the temporal. Talon, who was going to prove to be strongly Gallican, and very suspicious in addition, had illustrious examples in his own family: the attorneys-general Omer and Denis Talon, who were very famous in Paris, were out and out Gallicans; of Omer Talon it was possible to write that, not satisfied with exaggerating the doctrines of Pithou and Richer, “he enriched the code of gallicanism with new articles and was the first to put them into practice.” Moreover, by his own behaviour Colbert was going to encourage Talon in his suspicions regarding the Canadian Church. However, Talon’s first report, which was sent to Colbert 4 Oct. 1665, was not unfavourable: “. . . I say that if in the past the Jesuits matched temporal authority with spiritual, they have very much amended their conduct, and provided that they always keep it as it seems to me to be today, there will be no need to guard against it in the future.” This impression however changed little by little into a kind of hostility, which caused the intendant to commit the error that he was blaming the Church for: he interfered on a few occasions in questions which rested entirely with the bishop and belonged to ecclesiastical discipline. This change of attitude came about between October 1665 and November 1666, when he wrote that if he were willing “to leave the Church on the level of authority on which I found it, I should have less trouble and should receive more approbation.” Must this change of attitude be attributed to the affair of the seigneury of Notre-Dame-des-Anges, which has been mentioned and which brought him into conflict with the Jesuits, who were not disposed to let their lands be expropriated? Or rather, was it due to the bad opinion that he had had of the Jesuit Albanel, who had been unjustly accused by M. de Courcelle of having dissuaded the Indians from taking part in his war party in the winter of 1666? In any event, nothing else seems to have troubled the relations between church and state in 1666. In March 1667 the intendant made a great deal of fuss about what has been called the affair of the Dames de la Sainte-Famille. This pious association, which had been canonically founded by Bishop Laval, forbade its members to take part in society gatherings and dances. 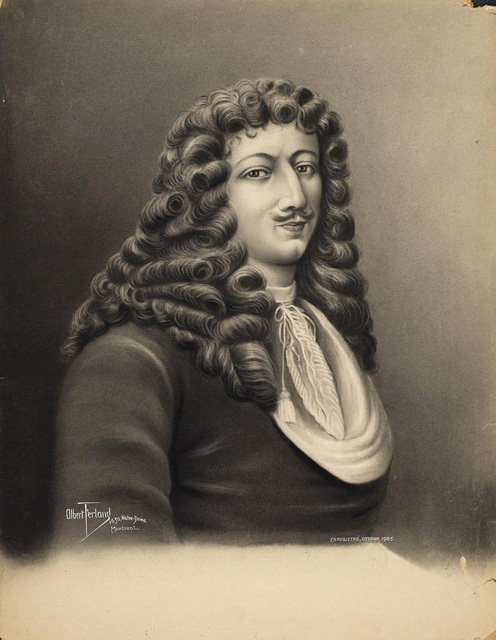 Now, during the carnival of 1667 people had had a very good time at Quebec: Louis-Théandre Chartier de Lotbinière had given the first ball in Canada, and there had no doubt been numerous joyful gatherings. Several of the Dames de la Sainte-Famille, it seems, had forgotten the regulations of the association. In agreement with the directors of the sisterhood, Bishop Laval decided to suspend its meetings. Thereupon Talon lost his temper, seeing in the bishop’s gesture an intrusion by the Church upon social liberties. A fine affair, indeed! On 14 March 1667 the intendant laid the matter before the Conseil Souverain, which ruled, through two commissioners, that gatherings during the carnival could not be condemned. Talon did not perhaps dare go further, and the incident ended there. Obviously the intendant had taken offence, intervening without any reason in the internal administration of a religious association which people were free to belong to and which, besides, in no way depended upon the state. A little later that same year there arose the question of the tithe, which had been instituted in 1663 and set at a thirteenth but had not yet been put into force, in consequence of the settlers’ firm opposition; even an ordinance by M. de Tracy had not been able to impose it. On 23 Aug. 1667 Tracy, Courcelle, and Talon set the tithe at a twenty-sixth for a period of 20 years. This diminution was certainly not agreeable to the clergy, whose needs were great; Bishop Laval had nevertheless to accept it. At the beginning of the 18th century Bertrand de Latour* claimed that Talon was responsible for the change made in the rate of the tithe, but there is no proof of this. It would however not be astonishing if Talon, engrossed in the settlement of colonists, wanted to lighten their burden; it was probably he, besides, who was responsible for the clause which exempted new colonists from this tax for five years. More painful to Bishop Laval was Talon’s volte-face when, after co-operating with the Conseil Souverain in forbidding the bartering of alcoholic beverages to the Indians, he had the council adopt, 10 Nov. 1668, an ordinance permitting this commerce but forbidding the Indians to become drunk. Although he was present at this meeting, Bishop Laval did not sign the minutes. Henceforth, except for a few restrictions, trade in spirits was going to be legal in the colony until the end of the French régime. It was a hard blow for the bishop and the Jesuits, who, for moral reasons, had fought this trade unceasingly. The expropriation of part of the seigneury of Notre-Dame-des-Anges, the affair concerning the Dames de la Saint-Famille, the question of the tithes, and the authorizing of trade in spirits, these were the only episodes during his first term of office that brought Talon into conflict with the Church; moreover, during his second stay in the colony, not once did he enter into conflict with the ecclesiastical authority. Is all this sufficient to conclude that Talon was Gallican in sentiment? Perhaps not: in two of these incidents at least he did not act from Gallican principles. It is in his correspondence, however, that he shows himself to be deeply imbued with Gallican doctrines, continually accusing the Canadian Church of interfering with the temporal power and of disturbing people’s consciences by recourse to spiritual constraints. But it is noteworthy that Talon never cites names, never gives precise details; he always confines himself to vague accusations. Moreover, in studying his two administrations, one finds few cases in which he had to intervene with the ecclesiastical authorities. It seems that, being suspicious by nature, very firmly convinced in addition of the eminent priority of the state, Talon often exaggerated small incidents, as in the affair of the Dames de la Sainte-Famille, seeing intrusions upon the temporal authority where there was none and lending a too willing ear to rumours and hearsay. Perhaps too, without ever saying so, he was in profound disagreement with the clergy on the question of the trade in alcoholic beverages, which would explain his surprising change of attitude on 10 Nov. 1668. 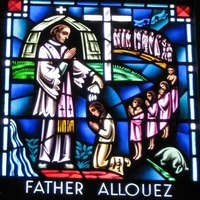 Talon, convinced that the Jesuits and the secular clergy – with the exception of the Sulpicians, whom he favoured as much as he could – “tormented” consciences and kept the population in a state of moral subjection, conceived the idea of bringing to New France a religious order which might counterbalance the influence of the former and exercise the ministry while respecting liberty of conscience. He applied himself to this matter in France in 1669, with the result that in 1670 he arrived in the colony together with some Recollets. However, Talon did not seem to realize how dangerous it was to set one part of the clergy against the other, no more indeed than he was conscious of his interference in the ecclesiastical affairs of New France. Leaving aside his uneasy Gallicanism and his tendency to ignore an authority that was too close to his own, one can hardly criticize Talon, whose two administrations – five and a half years in all – changed the face of New France. Of a colony centred solely upon subsistence agriculture and the fur trade, he began to make an industrial and commercial country; to a population that was too small, he brought numbers; to an embryonic and as yet ill-balanced society he ensured order and justice; to a New France whose frontiers were too restricted, he gave the dimensions of an empire; in a word, he laid in America the bases of that “great Kingdom,” of that “very great State,” of which he had dreamt from the very first day. The starting-point of his work was certainly the programme laid out by Colbert. In large measure the intendant simply complied with this programme; he was never, however, the blind executant of a plan that had been drawn up in advance. He had first of all the merit of understanding Colbert’s plan and aims; he adapted his projects, adding to them or cutting them down as necessary, even fighting them when they clashed with his own views. He created for himself a personal conception of New France and strove, especially during his second term of office, to impose it. His inventive genius led him to make of what was simply a programme of colonization a veritable policy, all of whose elements were tightly knit together and which foresaw the complete development of the colony. Gifted with a remarkable mind for synthesis, rapid in conceiving ideas as in realizing them, he had all the qualities necessary for his office. He was both the architect and the builder of his work. A true theorist, he did not abhor invoking the great political principles upon which he based his activity; a formidable dialectician, he knew how to expound and defend his projects as well as to fight contrary opinions. A talent for speculation complemented admirably in him the practical, realistic, and efficient man of action. Powerful in conception, steadfast in decision, and swift in execution: these characteristics in Intendant Talon suffice to account for his career in Canada. In addition, throughout his stay in Canada Talon exhibited a social sense of which his period has left us few examples. From the time of his first term of office he had established personal contact with the population, visiting each of the settlers at census time, entering their homes and discussing with them their needs and aspirations. His social preoccupations can be detected, for example, in the reasons he gave for setting up dwellings in communities, in the type of aid and encouragement that he gave the settlers, in his plan to ensure Canadian society of an élite by distributing some patents of nobility, in the preambles to his ordinances, in particular to that of 5 June 1672 forbidding men to take to the woods (which would deserve to be quoted), and in his constant concern for teaching. In the work-yards and factories of the colony, indeed, craftsmen from France taught their art to the settlers and soldiers; likewise the agricultural developments were in effect schools where the old settlers revealed their secrets about agriculture in Canada to the indentured employees who had recently landed; at Quebec, at Talon’s request, a teacher introduced young Canadians to mathematics; in short, wrote the intendant, “the young men of Canada are dedicated and rush to the schools of science, into the arts and crafts, and especially into seamanship.” Talon must receive credit for realizing that it was not enough to develop the economy in order to make something great of the colony; he subordinated his whole work to the welfare of the few thousand human beings who were entrusted to his care. 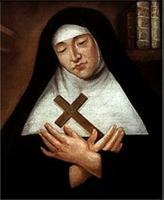 The “incomparable intendant,” as Mother Juchereau* de Saint-Ignace called him, left the colony for good in November 1672. At the time of his departure Canada had become one immense work-yard: in the summer of 1671 nearly 350 men had been counted in the workshops that had been created by Talon. The whole of New France was looking confidently to the future. Unfortunately this effort was not kept up. From 1672 on the king stopped giving any effective aid to the young colony in the form of funds; besides, and this is perhaps the most important factor, three years went by before a successor to Talon was appointed, so that New France was left under the sole direction of Frontenac, whose experience and ability were above all military. In several sectors Talon’s work was soon undone. Other intendants came to Canada, some of whom were not lacking in talent, but circumstances were no longer as favourable as they had been in the period when Louis XIV and Colbert held the destinies of the colony firmly in their hands. New France’s only great period, from 1665 to 1672, was gone for ever. Shortly after returning to France, Talon, who had already been captain and governor of the château of Mariemont since 1670, received the important and very honourable office of first valet of the King’s Wardrobe and secretary in his privy chamber. In addition Talon’s property of Les Islets, which had been created a barony on 14 Mar. 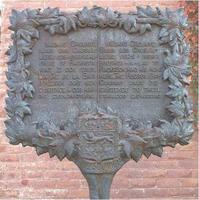 1671, was raised to a countship in May 1675, under the name of Orsainville. These royal favours show in what esteem the former intendant was held by Louis XIV. 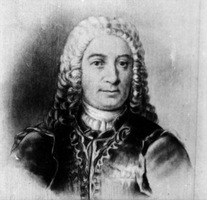 Occasionally he used his influence on behalf of New France and of his nephew, François-Marie Perrot, governor of Montreal. In particular, being favourable to the trade in spirits with the Indians, he became Colbert’s adviser on this matter, which earned for him the enmity of the Canadian clergy. Thus, in 1681, when he thought of going to Canada to set up a general hospital, the churchmen became alarmed, thinking, rightly or wrongly, that his real intention was to return as intendant or even as governor. But this project was soon given up. An influential personage, often in contact with Louis XIV, a friend of James II of England who was in exile in Paris, protected by Mme de Maintenon, Talon lived in affluence in Paris, in the rue du Bac, when his duties did not require his presence at Versailles. In 1692 he sold his offices as valet and secretary, the first for 110,000 livres and the second for 143,000. As he felt his end approaching, he drew up his will 29 April 1694. He died a bachelor on the following 24 November and was buried in the chapel of Sainte-Catherine in the church of Notre-Dame-en-Vaux, at Châlons-sur-Marne. Recensements de 1666, 1667. “Acte de naissance de Jean Talon,” BRH, LXVII (1961), 62. Pierre Boucher, Histoire véritable et naturelle des moeurs et productions du pays de la Nouvelle-France, vulgairement dite de Canada (Paris, 1664). “Correspondance de Frontenac (1672–82),” APQ Rapport, 1926–27, 3–144. “Correspondance de Talon,” APQ Rapport, 1930–31, 3–182. Édits ord., I, 30–35, 40–48; III, 33–40. 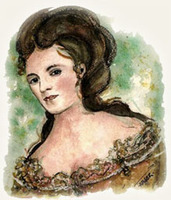 Marie Guyart de l’Incarnation, Lettres (Richaudeau), II, passim. JR (Thwaites), passim. JJ (Laverdière et Casgrain), passim. Juchereau, Annales (Jamet), passim. Jug. et délib., I, passim. Lettres de noblesse (P.-G. Roy), I, 37–46. “Ordonnances de Talon,” dans P.-G. Roy, Inv. ord. int., III, 218–77 et Ord. comm. (P.-G. Roy), I, 26–85, 96–129. Papier terrier de la Cie des I.O. (P.-G. Roy). P.-G. Roy, Inv. concessions, passim. Chapais, Talon. Pierre Clément, Histoire de Colbert (3e éd., Paris, 1892). 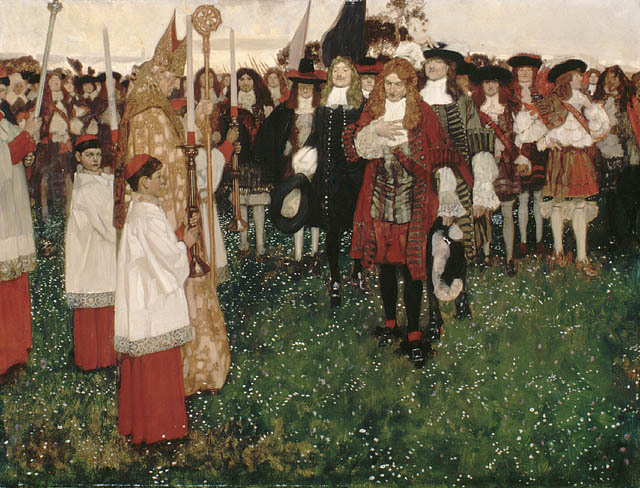 Joseph Cossette, “Jean Talon, champion au Canada du gallicanisme royal, 1665–1672,” RHAF, XI (1957–58), 327–48. J.-N. Fauteux, Essai sur l’industrie au Canada sous le Régime français (2v., Québec, 1927). René Gobillot, “La tombe de Jean Talon,” NF, VI (1931), 251. Lionel Groulx, Histoire du Canada français depuis la découverte (4v., Montréal, 1950–52), I, 69–145. Roland Lamontagne, Succès d’intendance de Talon (Montréal, 1964). André Vachon, “TALON (Talon Du Quesnoy), JEAN ,” in Dictionary of Canadian Biography, vol. 1, University of Toronto/Université Laval, 2003–, accessed April 20, 2019, http://www.biographi.ca/en/bio/talon_jean_1E.html.